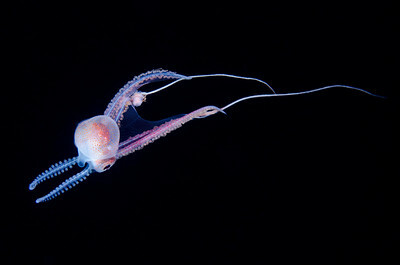 Captain Matthew D'Avella, Kona Black Water expert, with a pelagic octopus. 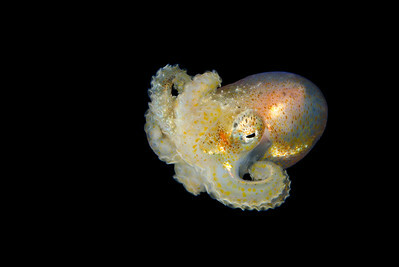 Size: 2-3 inches. 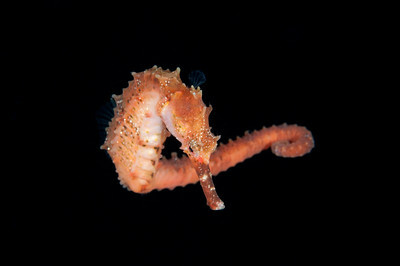 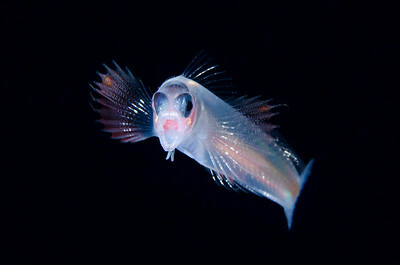 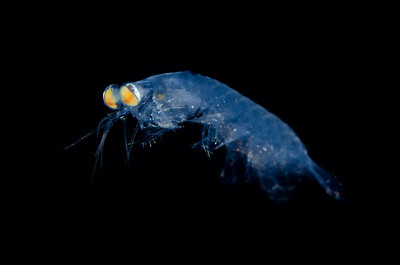 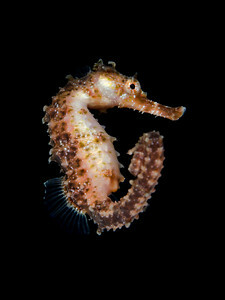 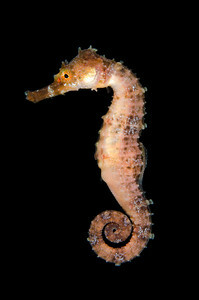 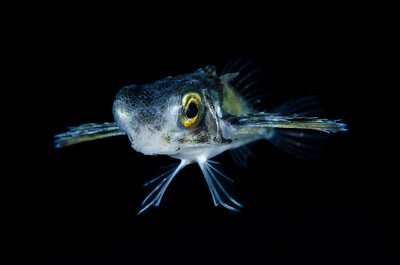 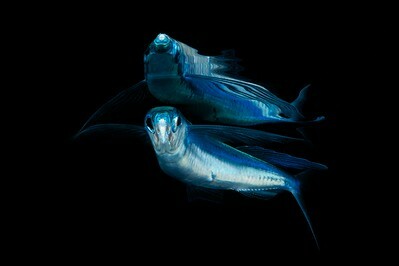 Not all animals seen on a black water dive are pelagic. 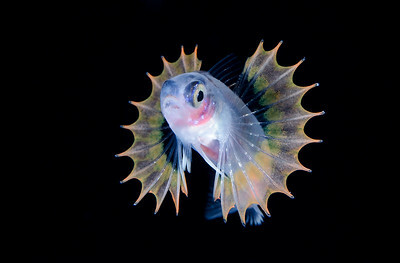 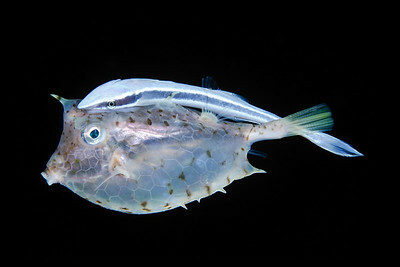 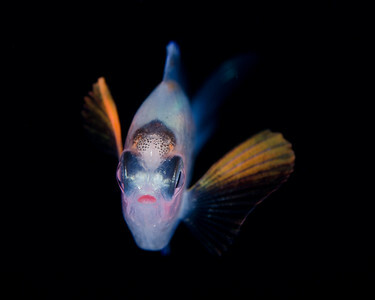 This spiny cowfish, a rare reef fish in Hawai'i, is a little lost. 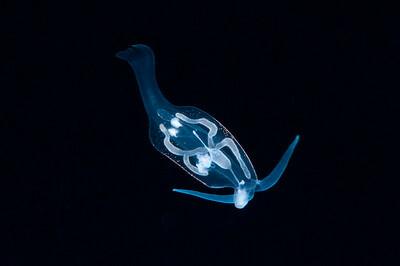 To make matters worse he picked up an unwanted hitchhiker in the form of a remora. 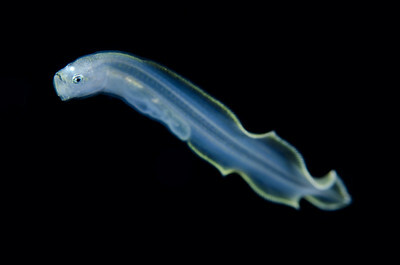 Size: 8 inches. 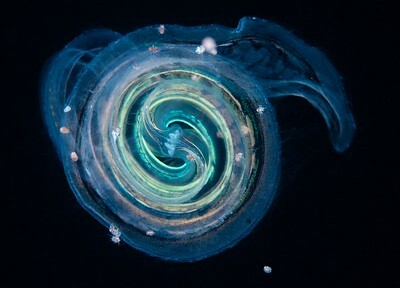 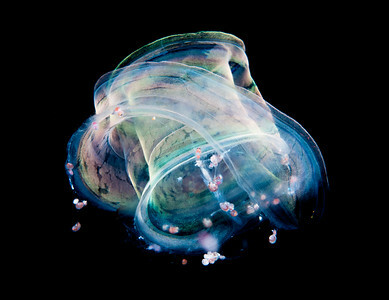 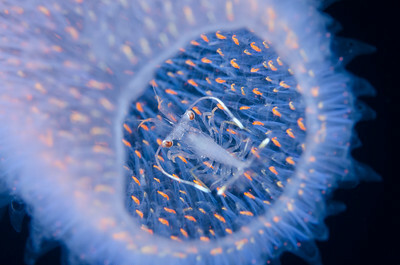 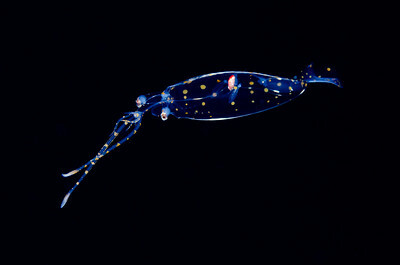 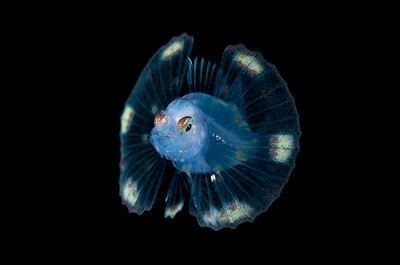 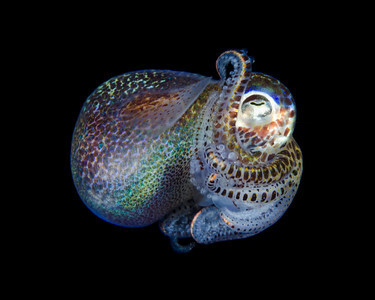 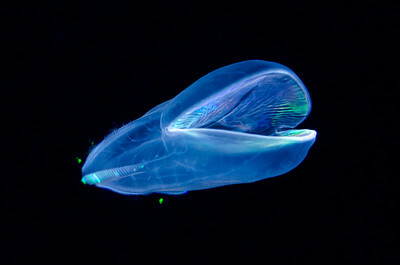 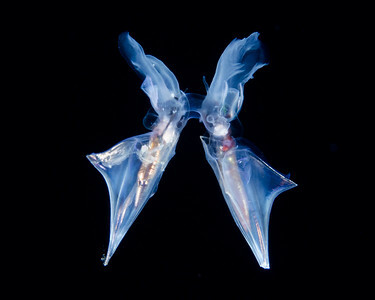 Thecosomes are a bizarre and beautiful order of pelagic snails. 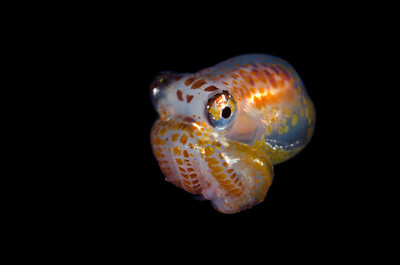 Size: 0.5 inch. 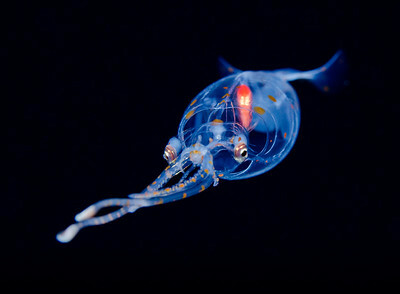 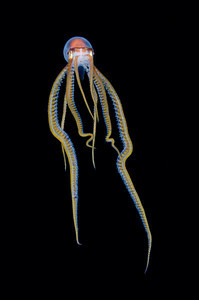 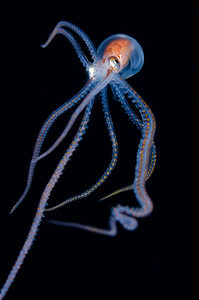 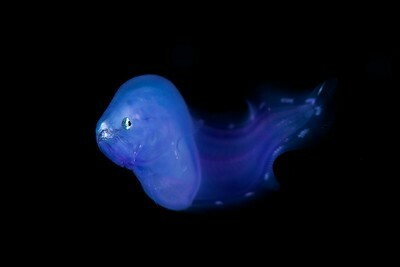 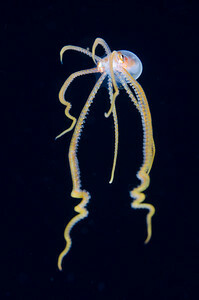 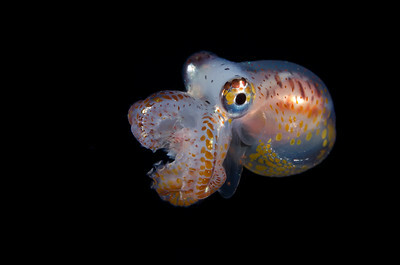 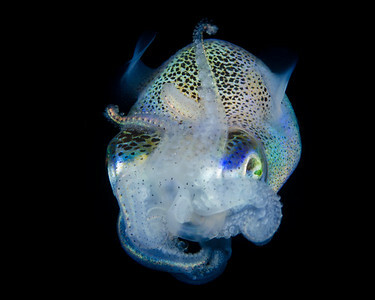 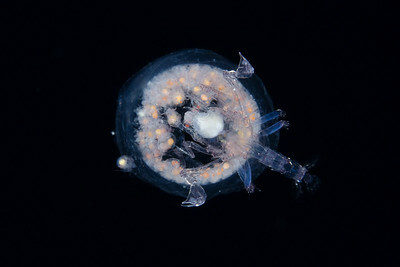 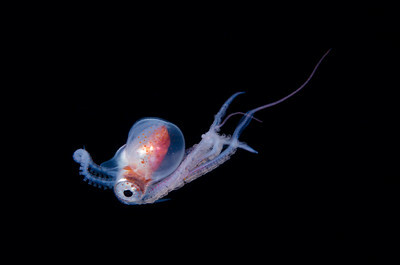 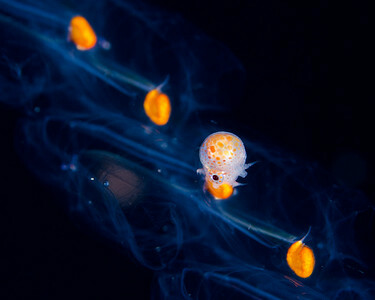 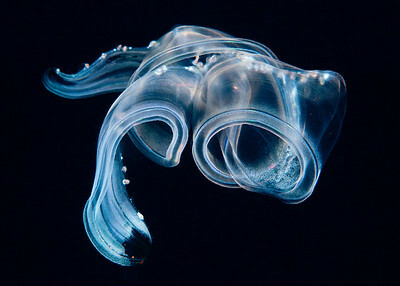 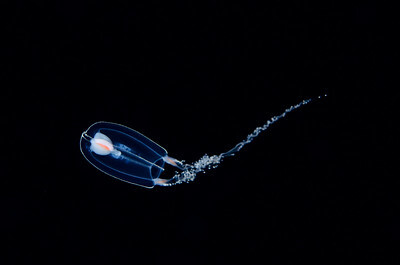 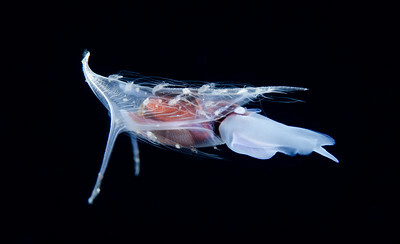 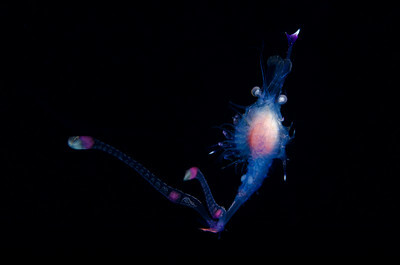 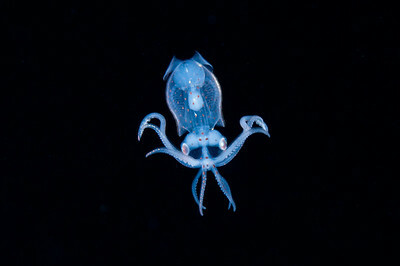 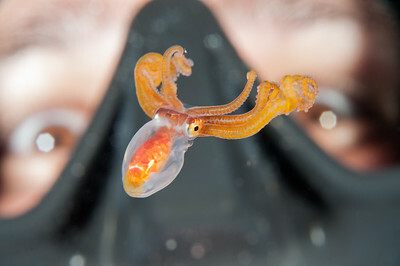 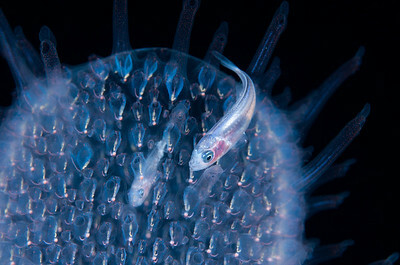 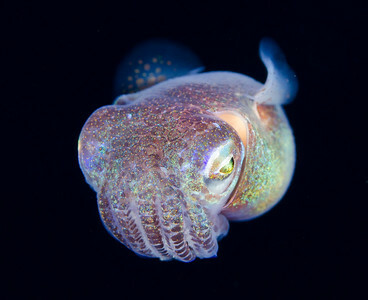 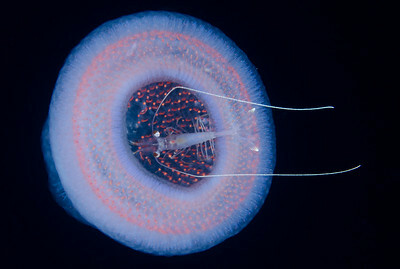 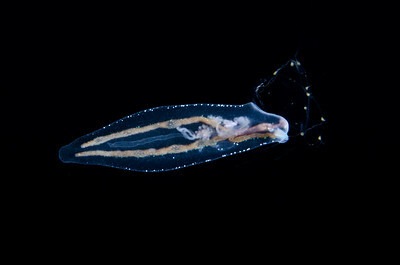 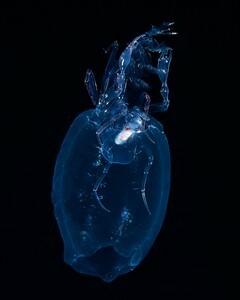 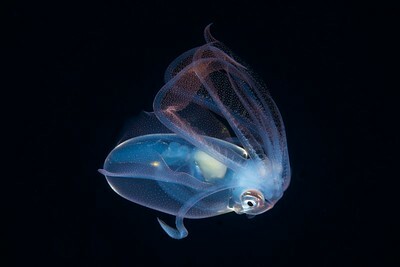 Larval octopus riding a salp chain.